Ilocos Norte 2nd District Senior Board Member Matthew Marcos Manotoc loves going back to a resort in Pagudpud. At Kingfisher Kite Surfing Hotel, the politiko gets to enjoy the salty sea and of course, eat yummy food! On Monday, February 4, Manotoc had a scrumptious Japanese feast courtesy of his friends! 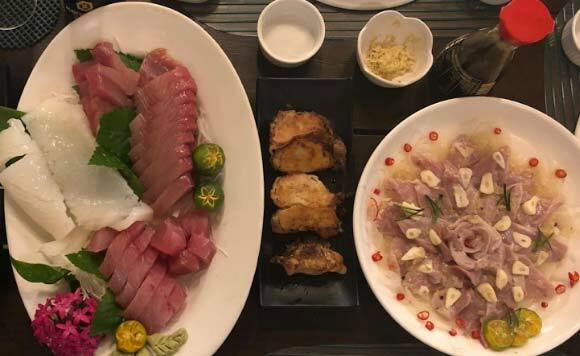 “Last night’s Japanese fare courtesy of the inimitable @toshinori.kimura.940 at @kingfisher.ph #Pagudpud #IlocosNorte #Sashimi #Gyoza #Carpaccio,” said Manotoc.